San Pedro Police has detained 35-year-old Ricardo Mendoza for the murder of 57-year-old Belizean construction worker Gaspar Vargas of the San Mateo Area in San Pedro Town. Vargas was stabbed once to his stomach on Monday, April 30th, around 2PM allegedly by Mendoza, his son-in-law, as they socialized at home. Vargas was rushed to the Dr. Otto Rodriguez San Pedro Polyclinic II, where he was immediately treated but later succumbed to his injuries. The Vargas family is devastated and believe that their loved one was unnecessarily murdered. According to a few neighbors, Vargas had a drinking habit, and on a few occasions he would get into arguments with Mendoza and others, but things never escalated. According to one of the deceased’s relatives, who wishes to remain anonymous, when she left for work earlier in the day, Vargas was working, but hours later she received the bad news while at her job. She also stated that this was not the first time Mendoza had attacked Vargas, as in a previous occasion Vargas had allegedly been badly beaten by his son-in-law. Tonight there is another murder to report from San Pedro - the second in four days, and the third this month. While the others are suspected to have been drug related - this one seems to be a family rivalry. Around 2:00 this afternoon, 35 year old Jose Ricardo Mendoza got into an argument with his 57 year old father in law Gaspar Vargas at his home in San Mateo. Police say the men were socializing in the yard - which suggests that alcohol was involved - when they got into an argument about what is being called "an old misunderstanding"
When things got heated Mendoza stabbed his father in law in the abdomen. His family rushed him to the polyclinic but he died while receiving emergency care. 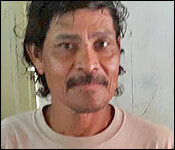 Mendoza is a chef and police did not manage to detain him until after 5:00 this evening. 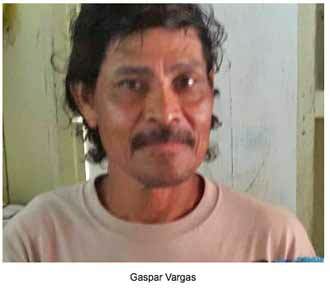 Jose Ricardo Mendoza has been charged for the San Pedro killing of his father in law, Gaspar Vargas. They were hanging out, drinking but had a misunderstanding and Mendoza allegedly stabbed Vargas to the stomach. The report is that they had a history of disputes, but on Monday it ended it murder. Police told us more. 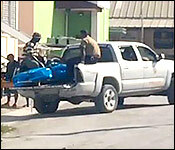 "The first stabbing incident happened in San Pedro, that was on Monday the 30th of April sometime after 2:00 pm San Pedro police visited the San Pedro Polyclinic where they observed Mr. Gaspar Vargas a Belizean unemployed of the San Mateo area suffering from an apparent stab wound to the center of his stomach. He was pronounced dead on arrival at the polyclinic. What police has gathered so far is that from early in the morning. The deceased was in the company of his son in law, Jose Ricardo Mendoza along with another male person socializing at their address, thereafter the other male person that was with them departed from the address and they continued socializing. Sometime after two in the evening there was a dispute among Mr. Gaspar and his son in law Mr. Mendoza where as a result he had sustained a stab wound in his stomach. Police were able to detain Mr. Jose Mendoza at the hospital and after that a post mortem was conducted on the body of Mr. Gaspar Vargas. 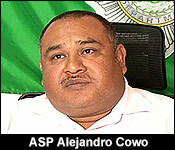 As a result of that on yesterday's date police arrested and charged Mr. Jose Mendoza for the crime of murder."